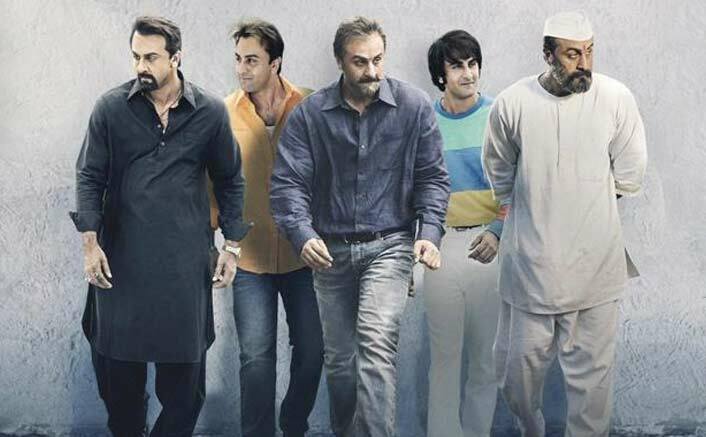 Sanju Box Office: Sanju has done something unprecedented which not many could actually see coming. It has not just taken an excellent opening all over, it has also broken quite a few records on its very first day. Considering the fact that the film was not being seen as one of those quintessential crowd pleasers in the offering that works across class as well as mass and that too in A, B as well as C centers, an opening like the one evidenced is definitely the one to be relished and cherished. As can be seen, the only two non-holiday releases in the Top-5 are Baahubali 2 [Hindi] and Sanju, which tells the tale. What also has to be noted is the fact that the Ranbir Kapoor starrer has gone past Aamir Khan’s Dhoom: 3, Salman Khan’s Tiger Zinda Hai and Shah Rukh Khan’s Chennai Express. Of course it would be right to say that the feat has been accomplished since the film sees the coming together of heavyweights like Rajkumar Hirani, Vidhu Vinod Chopra and Fox Star Studios as well. However, same is the case with the other biggies as well. Dhoom: 3 had the franchise factor as well as Yash Raj Films combo going in its favor, Tiger Zinda Hai too is a sequel coming from Yash Raj banner and a hit director [Ali Abbas Zafar] whereas Chennai Express had the hype of Rohit Shetty directing Shah Rukh Khan for the first time ever with Deepika Padukone being on the top of the game. Basically, Sanju has hit it out of the work and what has to be seen is whether the record breaking journey continues over the weekend and then during the weekdays as well. The post Sanju Box Office: Scores A MASSIVE Record, Takes Best Start Ever For A Non-Holiday Bollywood Release! appeared first on Koimoi.